I created a treasure closet and toy check-out system at the Ronald McDonald House to give residents a more positive and developmental atmosphere. The pre-assembled kits directed towards different age groups in the treasure closet and gifts new residents receive, provide long term entertainment, comfort, and growth. These systems made the Ronald McDonald House more home-like to scared residents. I also painted the area with fish and marine life to display a kid-friendly under-the-sea feeling which gave immediate comfort to new residents. The Ronald McDonald House has handed out 463 toys since my project began. The kits are checked out daily. My project is being sustained at the current Southern Colorado Springs Ronald McDonald House. My project is addressing the comfort of patients and the healthcare crisis currently happening in the United States, as millions are insecure with constant care and comfort in their daily lives. To reach others across the country, I had my advisor at the Ronald McDonald House send the brochure of my project to all RMH volunteer coordinators across the nation in order to show how this project made a big impact to her location. My project is also currently being implemented into the new North Colorado Springs Ronald McDonald House and at TESSA, a battered women’s shelter in Colorado Springs. I learned many things about myself and how to differently approach the world through my project. I had to think critically to overcome the storage issues in the treasure closet, as well as gained time management skills, and how to relate my time management skills to my team in order to complete the “construction” phase of my project. Earning my Gold Award will continue to impact my life until I can no longer remember my project. I have proved to myself what I am capable of, and how to find and to address the needs of anyone and everyone I can. 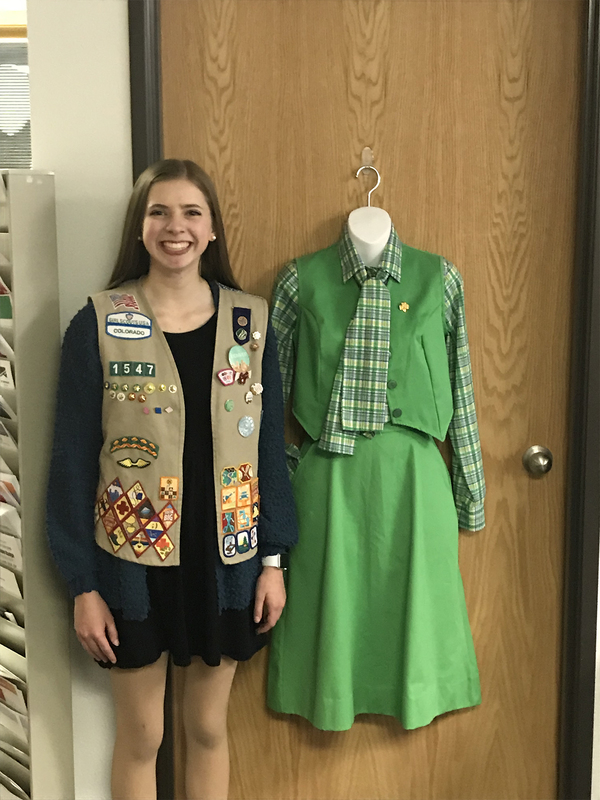 I believe that the Gold Award was essential to my Girl Scout career, applying all the principles I had learned about from Daisies to Ambassadors. I also felt it necessary to give back to my community, and found that my Gold Award was the perfect opportunity. My Gold Award has helped me become a go-getter, innovator, risk-taker, and a leader as I worked through my project. I became a leader on day one as I lead my team of over 20 people in order to complete my project. I became a go-getter on that same day as it was a huge leap of faith I was taking. Innovation was essential to the logistics and “construction” of my project and was gained as I worked through my project. I was a risk-taker through those innovations as well, using non-conventional solutions, proving myself a Gold Award recipient.